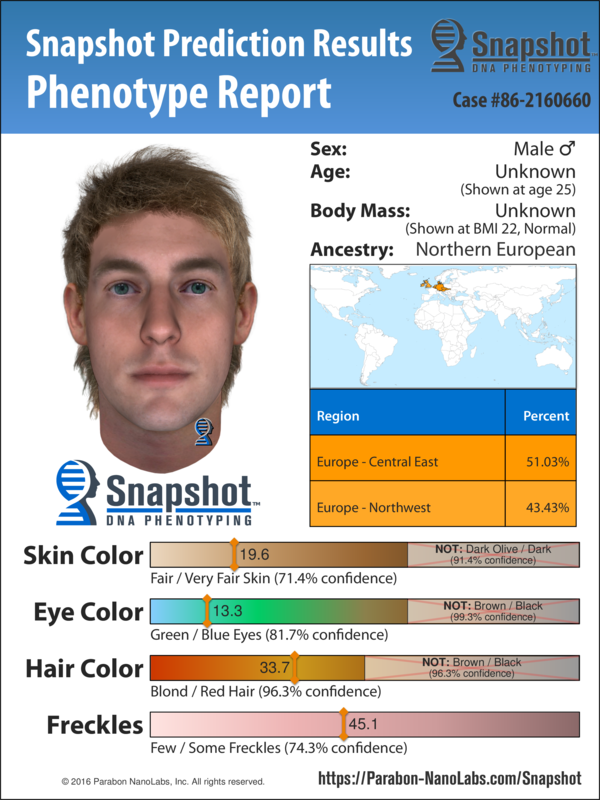 Reston, Va. — Police in Tacoma, Washington, disclosed to the public today Parabon Snapshot DNA Phenotyping Reports for two male suspects believed to be individually responsible for the deaths of Michella Welch (age 12) and Jennifer Bastian (age 13) — both abducted from Tacoma's North End area in 1986, just four months apart. 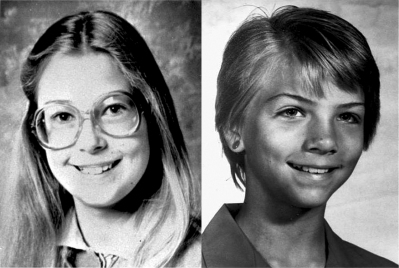 Because of the cases' many similarities, investigators had long believed one person committed both crimes; however, recent DNA testing has shown that two individuals were separately involved — one in each case. 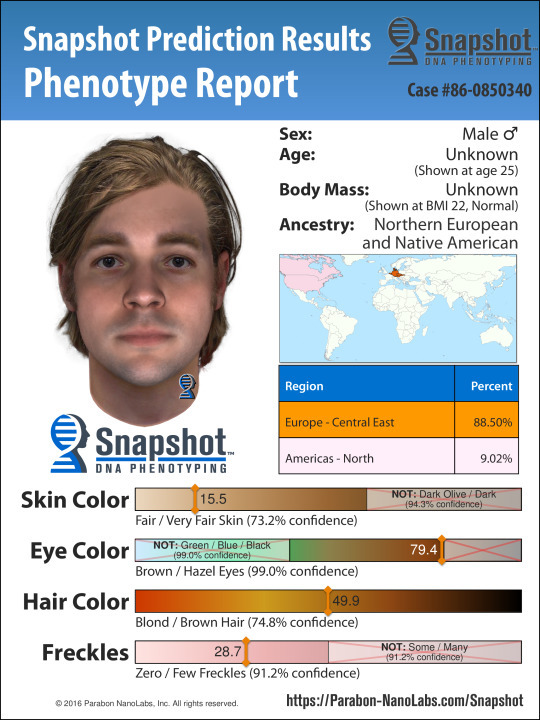 Neither DNA profile has yet resulted in a match, so detectives employed Snapshot DNA Phenotyping to predict the physical appearance of each suspect. With today's announcement, Tacoma cold case investigators hope Snapshot descriptions of the two killers will help the public generate new leads in these investigations. Although both men are Caucasian, Snapshot trait predictions suggest they have notable phenotypic differences. For example, the suspect in the Bastian case is predicted to have blue or green eyes (> 81% confidence), whereas the suspect for the Welch case almost certainly does not (> 99% confidence). Additionally, while both men are of predominantly Northern European ancestry, the suspect in the Welch case has a small but notable amount of Northern Native American admixture (~9%). With today's announcement, the Tacoma Police Department activated its Child Abduction Response Team (CART) and will begin investigating the deaths of Welch and Bastian as if they just happened. Approximately 60 people will participate in the cold case child abduction exercise, including representatives from FBI, Pierce County Department of Emergency Management and South Sound 911. A tip line will be opened, and detectives will be sent out to follow up on the resulting leads. Dr. Ellen McRae Greytak, Director of Bioinformatics at Parabon, said, "Even though these cases are 30 years old, well-preserved forensic DNA evidence combined with cutting-edge genetic technology allowed us to predict the possible appearance of these suspects, as well as a list of physical traits that investigators can exclude with high confidence." She concluded, "Hopefully, this new information about the perpetrators will help make it possible for investigators to solve these cases."